The Junior League of Bergen County announced the first Community Impact project related to their new resiliency campaign. 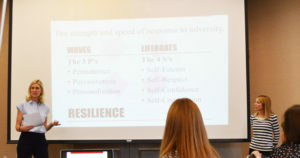 Resilience is defined as: The strength and speed of response to adversity and the capacity to recover quickly. The JLBC is dedicated to making an impact in the community through projects that empower and aid at-risk members of the community by helping them face and overcome adversity. 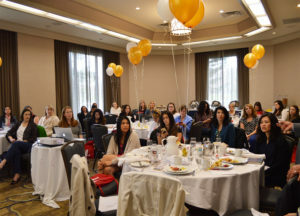 When developing the Community Impact project, the Junior League of Bergen County focused on an area of need within the community that could be effectively addressed by the League. After extensive research and planning, The Junior League of Bergen County would like to officially introduce their new “Set Sail Project”. The Junior League of Bergen County has teamed up with CUMAC as their first community partner. CUMAC in a non-profit organization located in Paterson, NJ, dedicated to feeding people and changing lives. CUMAC distributed over 2 million pounds of food last year between the clients it serves directly and their network of over 50 area nonprofits. In addition to being the largest food distribution center in Passaic County, CUMAC offers various other services to the community including a community closet, supportive housing program, numerous seasonal programs, and job experience and training through their Pathways to Work program. 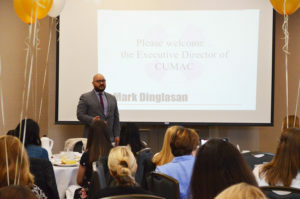 The main areas of focus for the Junior League of Bergen County within the CUMAC partnership will be within their Work Experience and Pathways to Work Initiatives. The goal is to help clients translate their experiences at CUMAC into work/life opportunities. Some training topics will include resume writing, networking, and interview techniques.